Auto Wappa feminsed cannabis seeds by Paradise Seeds are great for beginner growers and yield quality chunky big buds with an old school flavour and happy, ivigorating indica buzz. 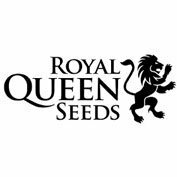 This autoflowering version of one of Paradise seeds best selling strains is a dream to cultivate and it’s ruderalis genetics ensure a 60-70 day seed to harvest period. Auto Wappa has a fruity sweet taste and fine smoke and provide a combination of relaxation and ivigoration making it ideal for an all day smoke variety. Juice Bomb… Auto Wappa is a flavorful autoflowering strain that performs with speed and produces big yields that taste great and drip with potency. We are very proud of Auto Wappa, because it took a lot of work to take the award winning qualities of the original Wappa and breed an autoflower variety that could do it justice. The results, however, are very pleasing and have been impressing growers and smokers since we introduced the strain. This combination of sativa and indica has a sweet skunk core and a deep fruity taste that keeps you coming back for more. It is fortunate then that Auto Wappa takes after its feminized big sister, coughing up buds faster than a Gremlin produces furballs if you feed it after midnight. What else can you expect with this auto version of one of our best selling strains? Well, just about everything that the original has, only in an autoflowering version. 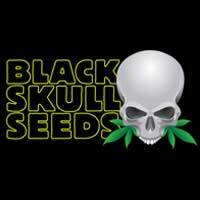 Its cannabis ruderalis genetics provide it with an automatic body clock to ensure a 60 70 day seedto-harvest. The perfect beginner’s plant, Auto Wappa is a dream to cultivate and blooms with compact flowers that deliver up a payload of big buds that come oiled in resin. 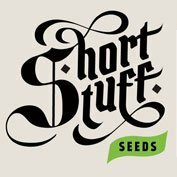 It will do very nicely in an indoor grow set up, where its stout growth and heavy fruits make it appealing to those looking for quality and yield. Once planted, Auto Wappa will stretch, displaying consistent manageable growth. When it flowers it will go into hyper production mode, carpeting the buds with crystals. A fantastic option for the outdoor gardener, this autoflower is capable of reaching 1m in height given the right conditions. Planted around the middle of May, when the night frosts have finished, and harvested at the end of July, this auto will put a smile on the face of any grower. Our big bud maker will produce a fine smoke too, fruity by nature and sweet to the taste. It also carries an indica buzz that combines relaxation with a sense of invigoration making it a good all day smoke variety. Yield: 400 g per m² indoors. 75 g per plant outdoors.